Be "ready to engage" with conversation topics, questions and stories in the back of your mind ready to go as soon as you meet someone. This will help you avoid those awkward "How's the weather" type of discussions. Common Point of Interest: It's an essential element to every conversation and interaction. Your duty, as you meet new people, or even as you talk with those you already know, is to discover the CPI as soon as possible. It connects people to you. It allows them to feel more comfortable talking to you. The best way to move on in a conversation is introduce the person you're talking with to someone else. Everyone wins as the two people each get to make a new connection and you get to move on. The next best thing to do is to excuse yourself. There are a number of methods to effectively do this. The most common way is to say, "I see a client/coworker/friend/colleague that I need to connect with before the event gets over, but it was nice meeting you." Another way is to excuse yourself to visit the bar, food station or restroom. Politely explain to the other person that you both attended the event to connect with several people and it's unfair for either you to dominate the other's time. Exiting a conversation can be tricky, but by being polite and helpful, you can turn a potentially negative situation into something positive. Social Networking. . .It's the way the 21st century communicatestoday. Want to know what it really means? Social networking is the grouping of individuals into specific groups, like small rural communities, businesses, and universities. The internet is filled with millions of individuals who arelooking to meet other people, to gather and share first-hand informationand experiences about specific topics,developing friendshipsorprofessional alliances, finding employment, and business-to-businessmarketing. LinkedIn is a directory of professionals and companies. 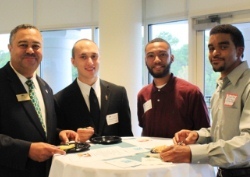 Individuals and companies use LinkedIn for networking, job searching, hiring, company research, and connecting with affiliates, including alumni, industry, and a variety of other business related groups. Company Search- One of the best ways to use LinkedIn is if you have a very specific company you are interested in. You search on that company, and hopefully find people who are connected to other people you know. Then, you can ask your personal contact to connect you. Job Postings- LinkedIn allows employers to post jobs on the site. The jobs are usually high quality, professional jobs. Email- Send a large email to everyone in your LinkedIn network, letting them know of your situation, and asking for any help or people they could put you in touch with them. Blog Link- LinkedIn now gives you the ability to link your blog post to your profile. So every time I post a new blog post, it updates on my profile, so anyone looking at my profile will see what I'm writing about. It also includes the updated post in the weekly update emails that go out to your connections. Groups - You can search for groups in your career field and join to meet people in similar careers. The more connections you have, the better your chances of having a connection who can help with your job search. When you're applying for jobs, be sure to use the connections you have. 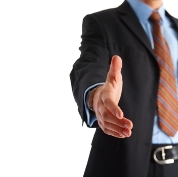 Someone who is employed at the company or has connections there will be able to help your candidacy for employment. On the flip side, be willing to help your connections when they need your advice and referrals. First, make a decision whether to keep Facebook social or expand your use. If you decide to use Facebook for professional networking, take a close look at your Profile and decide what you want business contacts or prospective employers to see - and what you don't. Create a simple profile (or clean up with your existing one) with minimal graphics and widgets. Limit the photos you post. Post content relevant to your job search or career. Use Facebook email to build relationships with your Friends. Choose your Friends wisely. Remember your Friends can see information about your other Friends in your Profile. Finally, if you want to be taken professionally, be very, very careful what you share with the world on Facebook. 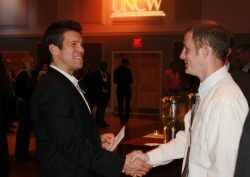 Use CareerAmp on Facebook to for career networking at http://apps.facebook.com/careeramp. Your Facebook friends are connected to tons of jobs and internships. CareerAmp shows you where and how to get them. Remember, it's who you know.